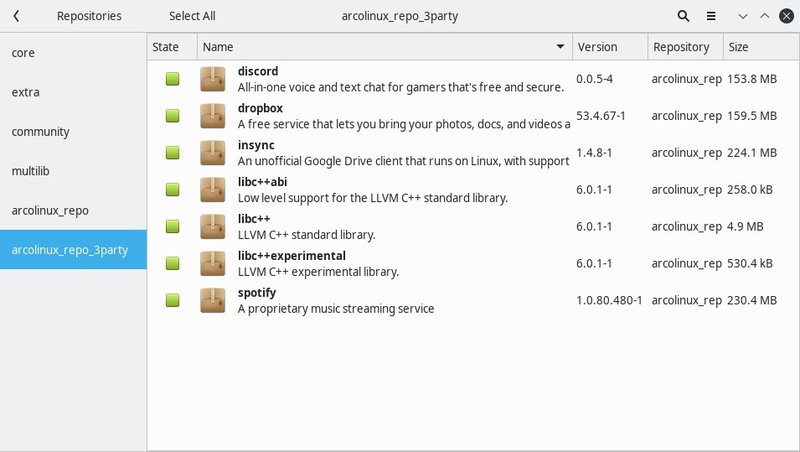 ArcoLinux wants to get back to our initial goal to stay around 2 Gigabyte as size for the ArcoLinux iso. June and July 2018 were all about ArcoLinuxB. Weeks went into the development of the scripts and building and perfecting the iso’s. 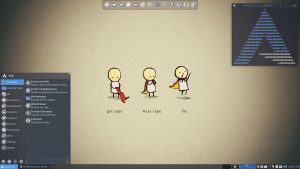 Xfce is used as the delivery system to install the desktops. It is more efficient to manage that way. Several weeks went into the development of all these ArcoLinuxB iso’s. They all needed a specific packages.x86_64 file, a unique installer and a unique configuration and new packages for example to logout. We have also opted for the new calamares installer 3.2. 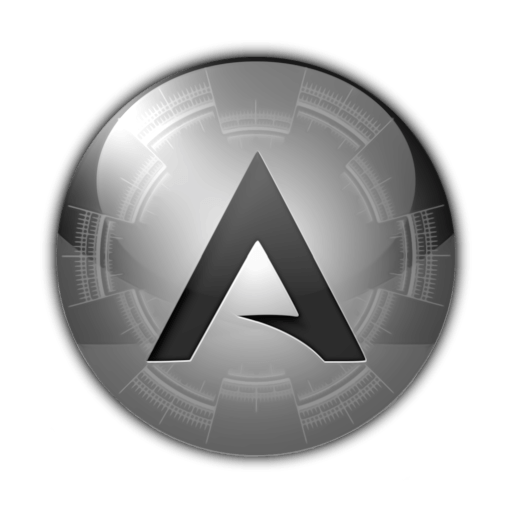 All the ArcoLinuxB iso’s have been rebuild and can be downloaded from sourceforge. We decided to trim down our iso and remove elements we either not use or that might be considered a security liability. You can install them if you want them after the installation of the iso. 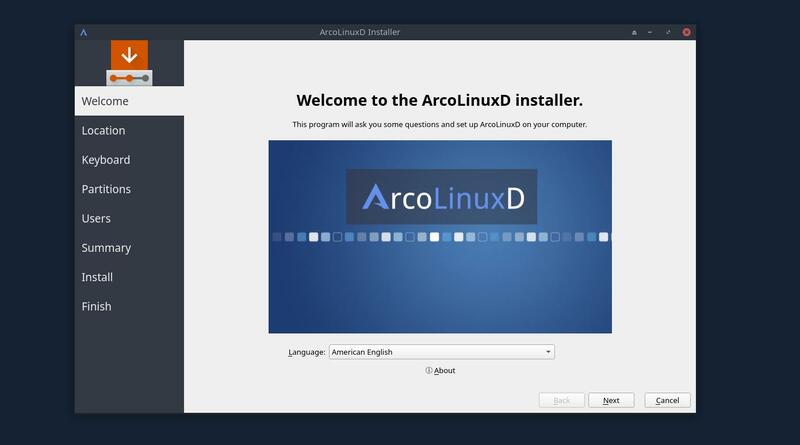 Our goal is to stay around 2 Gigabytes for the ArcoLinux iso. We moved these “fun” applications to this “fun” script – see this article. Mid July 2018 we got updates in for libc++. These packages have a long build time. To avoid long build times for us and all our users we have a new repo were we can host packages that take a while to build. Installation time goes down from 30 minutes to 30 seconds for discord. Use pamac to quickly see what we will add to this repo in the future. 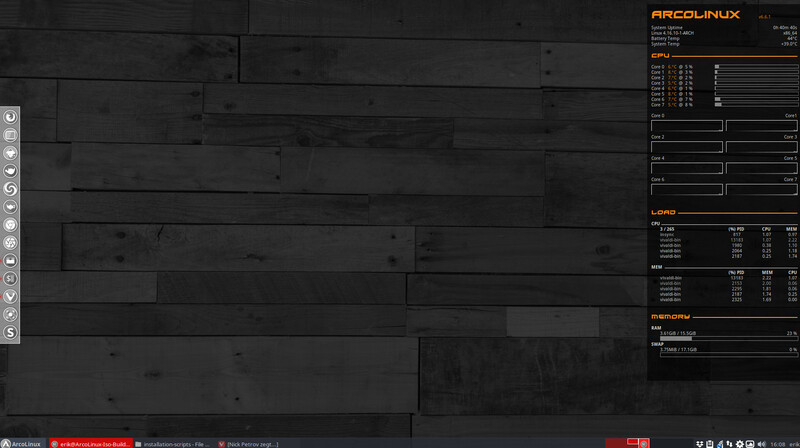 You can find the logo in your conky folder in ~/.config. We thank Phanner98 for his creation and sharing of the logo. 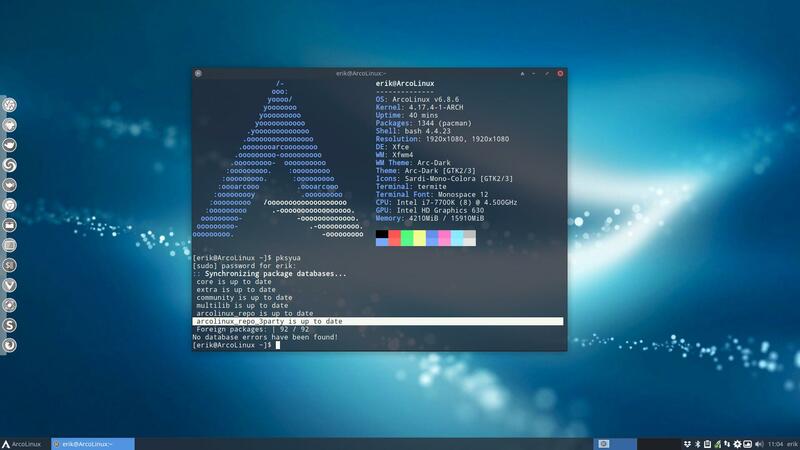 In the months June-July we have created the ArcoLinuxD-Plasma scripts but also the ArcoLinuxB-Plasma iso. More desktops will be created in the future. The workflow is that at first we need to know what applications are required to get a fully functional desktop environment. So we will first make an arcolinuxd/arco-*** github. 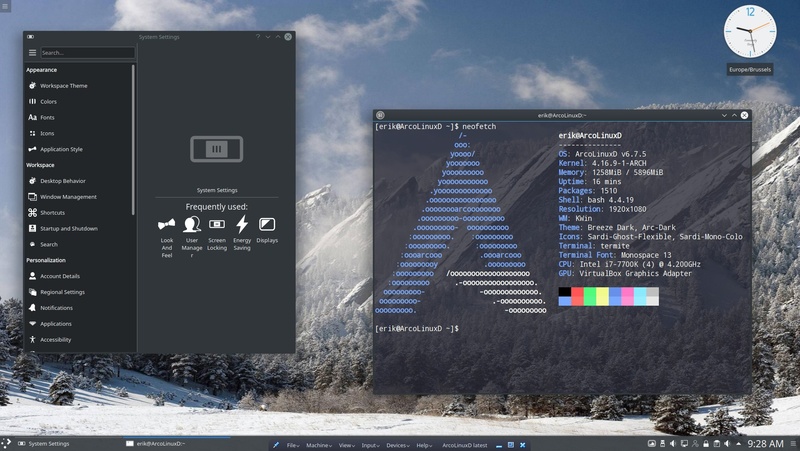 After we created an ArcoLinuxD github filled with scripts and applications we know what we need to have a fully functional desktop and what configs are important. Only then can we make an attempt of making an ArcoLinuxB iso. B stands for Build or Build Your Own Iso.